The year’s largest consumer electronics extravaganza, CES 2018, is just around the corner and hardware giants have already started to make waves. LG has today taken the wraps off their first-ever 4K UltraHD projector that’ll take your content consumption experience to new heights. Let’s take a look at this beast of a 4K projector that’s actually quite compact compared to its more bulky competitors. 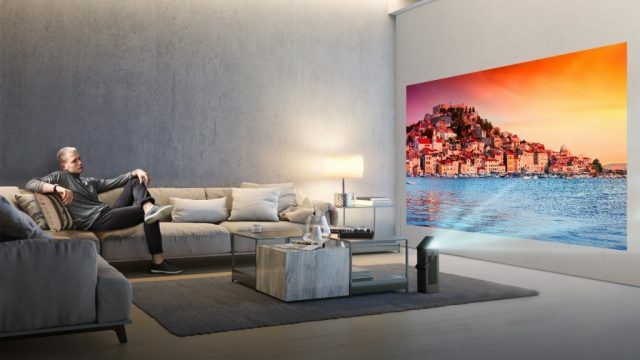 It has been touted to be half the size of competing 4K-ready projectors, while also being at the cheaper end of the spectrum, according to LG. Reducing the size is one of the many challenges LG faced in the revamp. 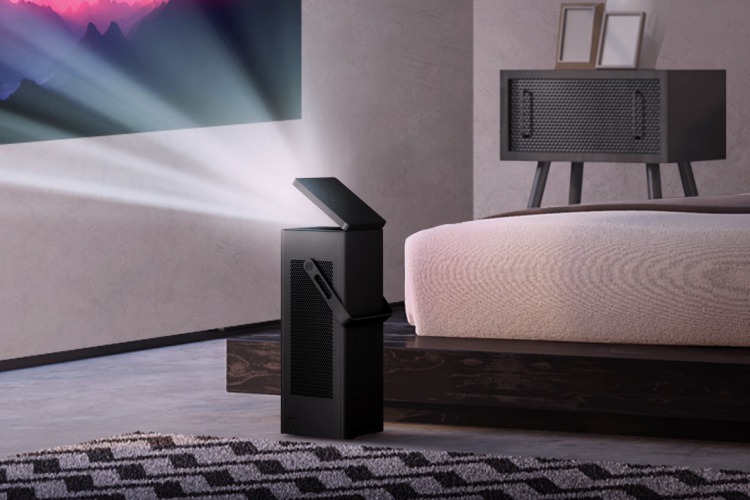 LG’s projector is capable of outputting an enormous 150-inch screen in any corner around your house, with the brightness going as high as 2,500 lumens. This means the content projected on the wall in front of you can get super bright. By now, we’re all aware that it is a 4K projector, but LG has also added support for HDR video (HDR 10) but the lack of Dolby Vision may be felt by few consumers. You also get two loud and clear 7W speakers baked into this compact projector, so the need for an external soundbar shouldn’t arise, says LG. And if you’re worried about 4K HDR content to project using the same, LG has also taken care of the same by powering the projector with its webOS 3.5 smart TV interface. This will enable you to access the plethora of 4K HDR content readily available on popular streaming platforms. LG may also include integration for Google Assistant or Alexa going forward as it has for its other TVs at CES 2018. The size of the thing impresses us the most as usually UHD projectors are ‘heavy, expensive and cumbersome’ to install in the home. This should solve that problem right out of the box. We’ll keep a check on this eye-candy and report back when it becomes available for purchase later in 2018.